We initiate, inspire and accelerate the kind of change that propels our members to success and our community to prominence. This mission is accomplished through our three areas of focus: Chamber of Commerce, Strategic Initiatives, and Transformational Change. Helping members reach their highest potential, so our community can reach new heights. Ensuring the region has all the ingredients for continued advancement and sustainable growth. 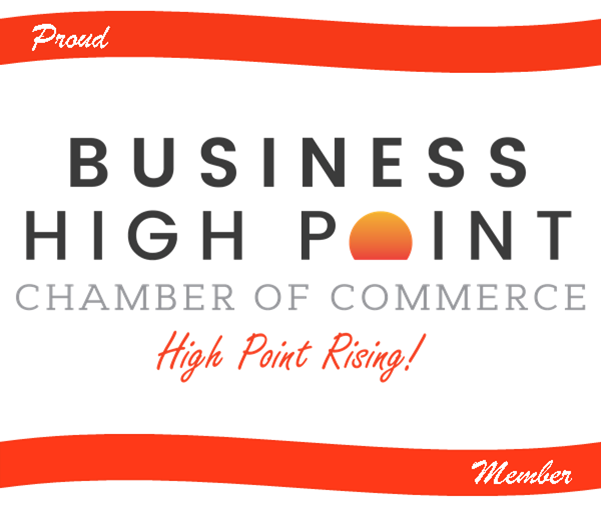 Creating the kind of change that makes people exclaim, "I'm proud of High Point!" Enhance your membership experience by using the links below. Download to display on your website! We are pleased to announce our newest members.